Salmon Falls Nursery & Landscaping strives to provide a positive and supportive work culture and employment opportunities. We are always looking for talented and hard-working individuals to join our team. 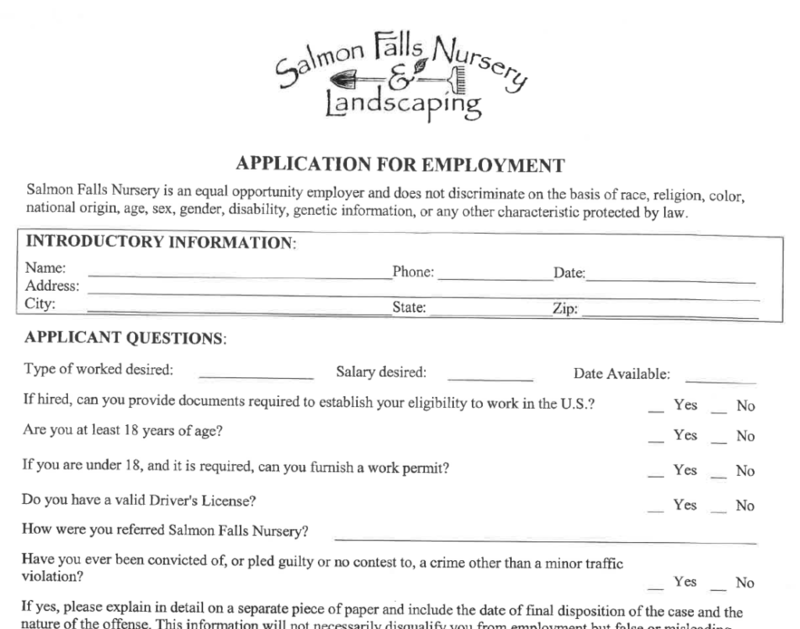 Interested applicants should complete and email the form below to Larry@salmonfallsnursery.com and Jason@salmonfallsnursery.com.